How to maintain Silk flowers? Silk Flowers are a good investment. They add beauty to a room and make it look prettier. They last way longer than natural flowers and are extremely low maintenance. However, they do need to be cleaned at regular intervals to make them look cheery and last longer. While purchasing silk flower arrangements, be sure to select an item pre-treated for dust-resistance to minimize maintenance effort. Clean the flowers every 1-2 months, so that they do not need a thorough cleaning after 3-6 months. Never clean silk flowers with hair spray. It may do more harm to your arrangement than help clean it. Commercial spray cleaners exist, in both aerosol and pump varieties. You can get them at craft stores. It is not suggested that you blow your silk flower arrangements with a compressor blower, a hairdryer, or even an aerosol can as that will only send the dust and dirt in a hundred other directions, and it can also disrupt the shape and arrangement of your flowers. You can clean an artificial flower bouquet by putting it in a paper bag along with handful of rice grains. Put the flowers in head first and shake vigorously. In just a few minutes, your arrangement will be sparkly clean. After fluffing the bouquet, make sure all the flowers are in the right position. Using the back of your hand lightly push the flowers back into position, to plump up the bouquet. You can also substitute rice with salt to the same effect. Just remember to dust of the salt properly. DO use inexpensive, inseason flowers..
Do match the body of the container/vase to the body of the flower..
Do give the arrangement a correct position in the house..
Do give flower food according to the type of the flower.. Eg., Rounded gerberas fits best in round rather than square vases. Pretty Peonies, fragrant sweet peas and scintillating roses look wonderful in pretty vases such as cut glass or delicate ceramics. Buds like lily buds can stand up but not lily flowers, they ought to sit in the vase. The flowers cannot overflow the vase. DON'T supplement greens just for fun.. Eg., Do not use plenty of colors which emits gaudyness. Just do not fill up the empty place with foliage, but be meaningful in arranging. Flowers are used to make special occasions beautiful. But they can also form an integral part of day-to-day beautification of the house. Arranging flowers can be a really fun activity. There are some basic patterns in an arrangement. They include vertical, horizontal, triangular, crescent, and oval arrangements, S and free-standing arrangements. The basic raw material used can also vary from one design to another, like 1. line materials, which are the first pieces placed in a design to establish the overall width and height. 2. Dominant flowers which can be flowers, such as lilies, irises or peonies. 3. Filler flowers or mass flowers, placed in between the dominant flowers, such as moss or vines. Tape, clay, and floral wire, floral tape covers wire and flower stems, Clay anchors foam, Wire supports flower heads help in completing an arrangement. A suitable vase is also important. It need not be expensive but simple and elegant will do. Bright flowers in yellow best suit a living room, as yellow color is associated with the sun, the source of life and warmth. Sunflower, Daisies, Gerberas etc. add cheer to a living room space. Anthuriums symbolize hospitality, happiness and abundance and are a lovely flower. A Birds of Paradise flower arrangement looks exotic and adds a tropical ambience. A square shaped table can have a circle shaped flower arrangement, whereas if it is a rectangular shaped table, it an arc shaped flower arrangement would be suitable.A fireplace in a living room, can accommodate 2 mini topiaries on the mantle, or even a corner of a living room can have a topiary. A bedroom is a very special, personal intimate place. To decorate the same, a lot of factors need to be taken into consideration, like a person's likes and dislikes in colors, and shapes. Roses are considered as the symbol of love. Though roses are universally used for almost all occasions, they are highly preferred for adorning bedrooms. Peonies can also be used as they symbolize a happy life and happy marriage, good health and prosperity. A dressing table can be adorned with an arc shaped or circle shaped arrangement, with Roses and Peonies. Mini topiaries on side tables create a romantic atmosphere. A dining table can accommodate different types of arrangements, but especially broad based arrangements with distinct colored shortly arranged flowers are most suitable. A round or a square dining table can have a rounded flower arrangement while a rectangular table calls for a an arc shaped flower arrangement at the centre. Windowsills can be adorned with lush greens. One can place terra cotta pots on a windowsill planted by combining herbs and sun loving plants like primroses, African violets and kalanchoe. Even old pitchers, teapots or clay pots can substitute a proper container in a flower arrangement. Next we will talk about DoÃ¢? ?s and donÃ¢? ?ts in arranging flowers. Now that my bee balm's blooms are fading away, I'm keenly aware of just how much I enjoy their "spiky hairdo." But if you have a wet area in your yard where whatever you plant struggles mightily, bee balm might also be the solution to one of your biggest landscaping challenges. Bee balm has culinary and medicinal uses, as well as being an attractive plant. You can brew a tea with bee balm and, as its name suggests, this herb can be used as a balm to treat such things as bee stings. Combine all this with the plant's tolerance of wet conditions, and it's clear why bee balm is such a popular perennial flower. Do you know the safest plant to grow indoors? It is the Norfolk Island pine foliage plant. This plant is a bright grass-green plant with branches appearing in regular whorls, making a very decent, pretty and symmetrical plant. It is one of the most popular house plants and a great, very formal looking plant for house decoration. Growing plants outside the house is common and easy, but growing them indoors is not so common and a different ball game altogether. With their constant presence in the house and care and supervision required to grow them, they are almost are like children of the house. Some houseplants can go days without any water. For e.g., Aroid family of plants which include Philodendrons, Pothos, Chinese Evergreens, and the Peace Lilies, which are well adapted to the low light conditions of most homes and offices. This Aroid family has a wide variety of foliage forms and leaf variegation patterns. Most of them are quite easy to grow, requiring evenly moist soil and moderate light levels. They do not need water everyday. Victorian in style - plants having feminine, frilly ferns. Southwestern style - plants belonging to cactus family. Patio and Decking area - There are 4 categories that can be grown in the patio area. They may be thrillers, fillers, spillers, and accents. Thrillers are usually upright and add height to the plant. They also add flair and can be either foliage or flowering plants. Some of the thrillers are Salvia, Variegated Grasses, Dwarf cannas, Rose mallow, Snapdragons, Coleus, Smoke bush or Butterfly iris. Fillers are those with fine texture foliage or small flowers. They fill in the combination in the arrangement. Some examples of fillers are: Dusty miller, Blue daisy, Scented geraniums, Pansy, Flowering Tobacco, Ageratum and Verbena. The spillers soften the edges of the planters in the patio. They provide fullness to the container and may spill over, onto the adjacent pot, like Bacopas, Licorice plant, Ornament sweet potato, Greater periwinkle, Fan flower, Ivy or Dianthus. The contrast or accent plant adds an extra feature to combinations and often feature very bold foliage. Leaves may be variegated and large flowers like Petunias, Marigolds, Cosmos, or Heliotrope. Living room - A stimulating room, can have the more spiky or spiny plants, like snake plants, palms, aloe, and yuccas. They can be placed along the corners of the room. Bedroom - Bedrooms are relaxing rooms where jade plant, rubber tree, schefflera, or peperomia suits better. They can be placed opposite the beds or to the sides where there is a chance of looking at them more frequently. Restroom - In a corner of the room, colored foliage plants can be placed. Balcony - In the balcony, hanging or trailing plants can be grown in for hiding, draping over, or otherwise softening sharp corners. I love to photograph flowers but often don't know their names. Could you please identify them for me? A house becomes a home with the personal touch of the people staying in it. When you move into a house, you arrange things as you like them and where you want them. You beautify it by placing your favorite photos, paintings on the walls, china or other show pieces on other surfaces and flowers you maybe arrange yourself. Flower Arrangements play an important part in the ambience of any house, or a commercial place. They appeal to the senses and keep us in touch with nature. Why use flowers for interior decoration? Flowers bring beauty and cheer inside the house. Flowers can have a positive influence on moods. Flowers can improve personal relationships. Decorating the house with flowers can be very exciting. There are specific areas that can be beautified using flowers. One can experiment with the variety of flowers and the way in which they are arranged. Before starting there must be a ground work done for experimenting with flowers. The primary element in any flower arrangement encompasses many principles, like Design, Balance, Scale, Rhythm, Focal point, Harmony and Unity. The types of flowers and plants used in the decoration at home can range from Lilies, Carnations, spray roses, Chrysanthemums, Asters, Gardenias, Daisies, Gerbera daisies or Kalanchoe, African violets or primroses, Alstroemeria, Freesia, Roses, Bouvardia, Delphinium, Stock flowers, Star of Bethlehem, Statice, Tea roses, Peonies, to Lilacs. These flowers with the difference in their sizes can be embedded in variety of flower arrangements, like bouquets, table centerpieces, floral baskets, wreaths, etc. Roses are perhaps the most popular flowers used in flower arrangements, closely followed by carnations, gerbera daisies and chrysanthemums. The use of flowers in flower arrangements also depends on the occasion for which they are made and the recipientÃ¢? ?s likes and dislikes. A flower arrangement can be made using distinct styles such as Oriental Flower Arrangements, Traditional/Western Flower Arrangements, Modern Flower Arrangements etc. Interior decorating is the art of personalizing and transforming interiors to create a stunning, elegant look either at homes, institutes or commercial places with the help of materials or flowers. Let us explore its origin and history. Interior decoration can be dated back to ancient times. The first evidence was seen during the time of the Egyptians, when they lavishly decorated their tombs. Romans were not far behind in this regard. They also indulged in decorating their homes which also aimed at protecting themselves from cold. During the Italian Renaissance, Interior decoration was theme based, in function form and decadence. Even early American decoration was mostly homemade as people were inspired by the homes of the wealthy. The trends in interior design were influenced by artistic, economic, and technological revolutions throughout history. During the Industrial Revolution there was a clear change in the history of interior decoration in that made it made mass produced objects for home decoration accessible to the common man. Cheaper decorated items became easily available and interior decoration became a conscious possibility for the homes of common folk. Flowers, however, have always remained the oldest and the most commonly used objects of interior decoration. Flowers are normally placed in a living room, a kitchen windows, bedrooms, etc. of a house. They add color, beauty and fragrance to their surroundings making these areas ideal for sitting and relaxing. Besides adding beauty and fragrance to their surroundings, flowers can be easily accessed by most people. Flowers are also believed to have a positive impact on a person's energy level. It is for sure that flowers full of life and vitality cannot be replaced by any other kind of substitute in interior decoration. There are many advantages of terrace gardens. Terrace Gardening reduces the distance of the organic food travel before reaching the mouth of an urban people. Growing of these little creatures in front of them makes the children fascinated towards helping in the growing process. It helps the children to develop love towards the plants and the terrace gardens and kitchen gardens provide them a practical knowledge and provide a field to learn their biology lessons. A stroll in such gardens fills a person with positive energy and enthusiasm. Planning is the most important factor in terrace gardens. Depending on the number of people in the household and the space available on the terrace and climatic conditions of that place and the available space around the house, one can plan the Terrace garden to grow vegetables, fruits and medicinal plants etc. It reduces the pollution in the microclimate, and increases oxygen production. This reduces the temperature which weans away from unproductive, often expensive habits to healthy, productive life style. The pesticides with a chemical base be replaced with organic pesticides. Organic pesticide can increase the efficiency of any terrace garden. Do you accept my view, that these days every thing is available at your doorstep, but the question of quality is put at risk. Due to time constriants, humans are forced to accept the materials came their way. Terrace gardening helps to provide an exciting way of recreating the agricultural land lost for building houses. Like any other hobbies and habits developing by repetition, terrace gardening can also be a fruitful habit for young and aged if taken seriously and put a dedicated effort. The reason for developing Terrace gardening may be due to the fact that the vegetables, fruits contain higher chemical residues. There has been reports of the presence of sewage and heavy metal effluents in water used for irrigation purposes. This condition of presence of chemical pesticides makes the agricultural yields unfit for human consumption. Terrace gardening can be helpful in developing a useful garden by growing fruits, vegetables or for the aesthetic senses. Have you thought of terrace gardening at home? Its sounds an interesting one isn't it. A terrace is an ideal place to develop a personal space for a garden and outdoor living. Terrace gardening helps to find a new way to be surrounded by nature and provides a beautiful transition from concrete jungles to aesthetic sense enhancing trees, plants. According to the botanists, Terrace gardening is a healthy hobby, not only to keep oneself engaged for a couple of hours in a week but it gives the pleasure of being in the midst of a growing garden. It provides a chance particularly for housemakers to take a break from the routine of toiling in the kitchen for many hours, and thus this activity makes them engaged in the midst of happily moving green creatures like flowers, fruits around them. In India, Dr. B. N. Vishwanath, is a pioneer in promoting urban agriculture in India. He says that the only way to counter the health hazards of chemical poisons in food is to take up organic terrace gardening. You can grow your own healthy vegetable and fruits at your doorstep, enjoying life with living plants which reduces eating poisonous food. Do you know the regions coming under the zones of USA. The USDA Hardiness Zones is divided into 11 zones, each one with 10 degrees Fahrenheit warmer (or colder) in an average winter than the adjacent zone. Zones 2-10 are subdivided into light- and dark-colored sections (a and b) which represent 5 degrees Fahrenheit differences within the 10-degree zone. Zone 11 represents any area where the average annual minimum temperature is above 40 degrees Fahrenheit and is frost free. In the USA, The Northeast Plant Hardiness Zone includes Connecticut, Delaware, District of Columbia, Illinois, Indiana, Kentucky, Maine, Maryland, Massachusetts, Michigan, New Hampshire, New Jersey, New York, Ohio, Pennsylvania, Rhode Island, Vermont, Virginia and West Virginia. In the USA, The Southeast Plant Hardiness Zone includes Alabama, Florida, Georgia, Mississippi, North Carolina, South Carolina and Tennessee. In the USA,The North Central Plant Hardiness Zone includes Iowa, Minnesota, Montana, Nebraska, North Dakota, South Dakota, Wisconsin and Wyoming. In the USA, The South Central Plant Hardiness Zone includes Arkansas, Colorado, Illinois, Kansas, Louisiana, Mississippi, Missouri, New Mexico, Oklahoma and Texas. In the USA, The North West Plant Hardiness Zone includes Oregon, Idaho, Montana, Washington, Wyoming. In the USA, The South West Plant Hardiness Zone includes Arizona, California, Nevada and Utah. In the USA, The Alaska Plant Hardiness Zone includes Alaska. In the USA, The Hawaii Plant Hardiness Zone includes Hawaii. New York - USDA Zones 3b through 7a represented in New York. North Carolina USDA Zone Map - USDA Zones 6a through 8a represented in North Carolina. North Dakota USDA Zone Map - North Midwest - USDA Zones 3a through 4b represented in North Dakota. Oklahoma - USDA Zones 6a through 7b represented in Oklahoma. Oregon - NorthWest USDA Zone MapPhoto ÃÂ© USDA - USDA Zones 4a through 9b represented in Oregon. Pennsylvania - NorthEast - USDA Zones 4b through 7a represented in Pennsylvania. Rhode Island - USDA Zones 4b through 7a represented in Rhode Island. South Carolina - USDA Zones 7a through 8b represented in South Carolina. What does hardiness mean? especially USDA hardiness zones? That means how much of cold a plant can withstand without freezing to death. Usually, Climate zones are based on the average low temperatures that each area of the country has in winter. Met specialists gave out this figure by averaging the temperatures over a 15 year period for each different region of the country. The hardiness zones were first developed by the United States Department of Agriculture (USDA) and have subsequently been adopted elsewhere. Suppose lower your zone number, the lower your average low temperature will be. For eg, Zone 5, for instance, had an average low temperature of -20ÃÂ°F for the years from 1974 through 1986. Though there may be some fluctuations. But it would be fact that, that it was unusual to be a night colder than that. In zone 10, the average low temperature is going to be well above zero (typically it is between 30 and 40ÃÂ° F), which means that it is unlikely that a plant would ever freeze to death in that zone - although weather can be unpredictable, and freezes happen even in Florida. Decorating Foliage and Flowers in the house brings out the aesthetic and artistic feelings of the house owner. A house can be made fully flowered. But that does not mean that all the colored flowers be brought and randomly placed without planning. The possible places of decorating flowers at home with flowers and foliage can be, the entrance or Foyer, Living room, dining room, kitchen, bedroom, childrens room, guest bedroom. Do 's and Donts in arranging flowers. The places where flowers are planned should be neat and clean. The harmful nature of the purchased flowers are to be noted with florist. In any emergencies, keep in contact a vet and a doctor. Children should be given additional knowledge of the brought in flowers. Meticulous Planning and execution is needed for arranging flowers. They should not be easily accessible to pets and children, since flowers from a florist may contain some harmful chemicals, which may cause some allergies. Do not keep your fresh flowers in a refrigerator. Flowers bond people together. Decorations can be done on different occasions. Flower decorations have become very common feature and a wide varieties is seen arrangement of flowers. A place or room devoid of flowers rather looks dull, and uninviting. Natural Flowers and plants, bring a sense of soothing warmth and vitality. An interior of any place gives a drastic look when it is adorned with handful of green foliage and colorful flowers. There are many things to consider before decorating the desired place. The places where in the decorations can be made, their possibilities must be taken into account. In an interior of the house, we can use flowers to adorn the coffee table, dining room table, or end tables. One should choose the flower colors which complement the decorating scheme of the room. The places in the house where we give an immediate glance soon after entering the room or an interior is very vital, and hence flowers can be used to enhance or change the mood of the person entered. Example, We can use cascading vines for decorating the top of a bookcase. It gives a different look to the angular edges of the furniture. In these days of hurriedness people fall into dilemma in choosing the favourite gift articles, for their birthdays, anniversaries, weddings, engagements, Valentine's Day, Father's Day or Mother's Day to fall with in the budget. With their novel ideas these gift shops help you make the right choice for your gift recipient and your gift budget. Special gifts of flowers and gifts which are given for christenings, bar mitzvahs, Bosses' Day or National Secretary's Day isn't always easy. So selecting gifts for those occasions become a tedious job. But now as every work has been reduced to a minimum, choosing of these items does not need a thought over process. Flowers add that novel touch to any gift to make it more memorable. Be it for a birthday, to say hello to a special someone, or for an event, flowers will always make someone smile and make their day. Flower gift shop remains a special place for them who sent gifts to their dear ones. The shop displays a wide variety of flowers and gifts catering to the needs of the people. Gift shops continually come up with new or novel gift ideas or even better ways of presenting traditional gifts for a particular occasion. Flowers are the universal gifting articles. They enhance the mood of the sender and the receiver. 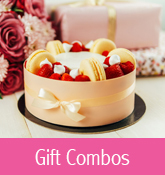 They range from a beautiful gorgeous flower arrangements to the flower baskets, keepsakes, a simple flower bouquets, a combination of fruit and flowers basket gift. Being a teacher working in a remote place, I had to send some gifts to my aunt on her birthday. I had very little time left for shopping. She being a very selective person, I was confused what to select for her. But thanks to a flower gift shop, which as two miles away, came to my rescue. The flower shopkeeper, helped me to pick up the best flowers available at reasonable prices. I received a thanks mail from my aunt who was surprised by the arrival of that special gift. Flowers and gifts play an integral role in celebrations and gifting culture. Recent years brought about a drastic change in the concept of giving presents to their loved ones keeping in view of their favourites, and their specific needs. Online flower and gifts delivery has become a common feature not only in big cities but also in towns. Scarcity of time in the lifes of people has enhanced these business establishments. One of the Internet baby i.e., Online trading has zoomed. You can send a favourite of your loved one being at the remote corner of a country to any part of the world with in the shortest time. 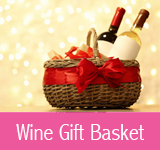 Sending gifts has never been easier or more convenient. Nothing shows you care quite like a stunning bouquet of fresh, vibrant flowers. With the flowers and gifts, one can show your appreciation and care to your friends, family, or employees. Gifting has become more or less a tradition. This is the season of Rakhi or Rakshabandhan. In India this day called as Rakshabandhan is celebrated by a girl/woman tying a designer thread on the wrist of her brother. This is called as Rakhi. The ambience is set for the special occasion every year during this period. This symbolises the promise of a brother in the protection for his sister. This show the bonding of love and friendship. This occasion demands gifting by a brother to a sister. These rakhis come in a wide variety, ranging from silk and cotton colored threads to mixed creations. Now a days, there are fancy Rakhi items included like comic characters, some famous personalities, Ben 10 etc,. The presents given can be varied from jewellery, cosmetics, Spa treatments, chocolates, cakes, flowers, flower bouquets, flower baskets, flower arrangements, fruit baskets, electronic gadgets, perfumes, crockery, other articles needed by a girl/woman. Rakhi festival is celebrated irrespective of religion, caste and creed. You can send beautifully, wrapped Rakhi and Gifts to your dear ones. Capture the moments of love and togetherness. You can send bright red roses to the one you love, and let them know they have stolen your heart. Send roses the color of passion to express the thoughts and words that do not exist to express. Expressing and gifting her with a single Red Rose also serves the purpose. Send flowers to share the joy of life when your loved ones receive the joy of a new baby. Send a bouquet that marks the arrival of their bundle of joy, and tell them you understand how they feel. Sending a simple bouquet is more than some beautifully crafted powerful words. A florist can help you at all times. One can send a beautiful wreath to express your deep sorrow at the loss of a friend or his/her near and dear. Sending a bouquet or arrangement to express sorrow means a lot. Send flowers as comfort to a grieving friend, and give them something fragrant to adorn the coffin of the one they have lost. These online transaction days, people rely more on shopping Online. Its more easy than anything else, keeping in view of some security measures. One can send flowers to loved ones at any time is an exciting experience. Receiving flowers is heart-warming because it shows that you make the sender feel as though that day is a special occasion. Be sure to send flowers to mark those truly special occasions. 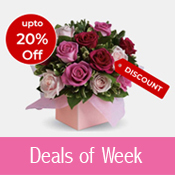 Send flowers to your life partner or wife on your anniversary, and send them to her workplace. Sending fresh flowers show your deep fresh thoughts in front of her colleagues, how much she means to you. Inviting her for a dinner on that occasion enhances the mood of the reciever. Last modified on Aug 25, 2009 | TFE v1.2 | © 2005-2017 Gifting Inc.